Missouri Gov. Jay Nixon has appointed Greensfelder Officer Erwin (Erv) Switzer to the St. Louis Board of Election Commissioners. Switzer will serve as chairman of the board, which is responsible for conducting all public elections in the city of St. Louis. His term will run through Jan. 10, 2017. 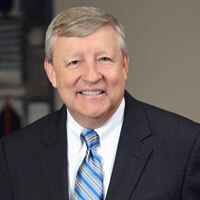 Switzer is an officer in Greensfelder’s litigation group and serves as the firm’s general counsel. He previously served as chief counsel in the Office of the Missouri Attorney General and is a former member of the St. Louis Board of Police Commissioners and the St. Louis Housing Authority.